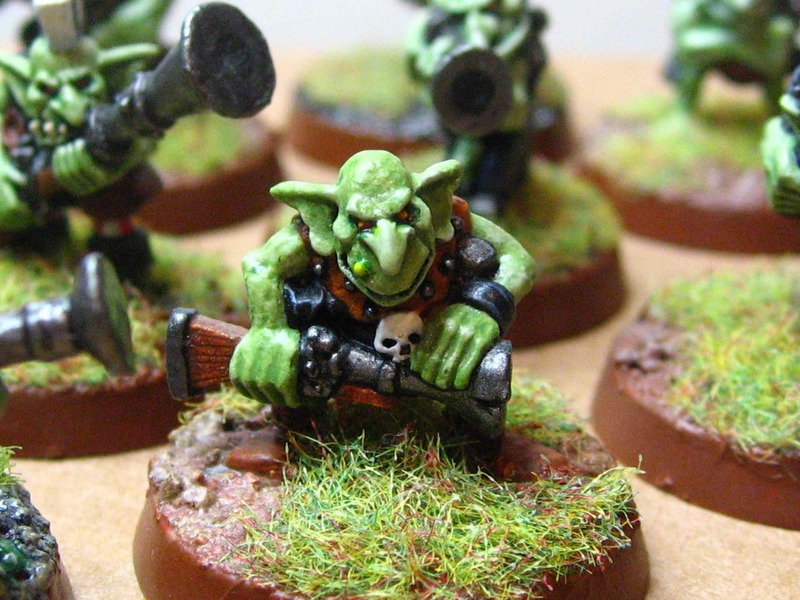 I’ve reached my target of 20 Gretchin for an old school Space Ork force. 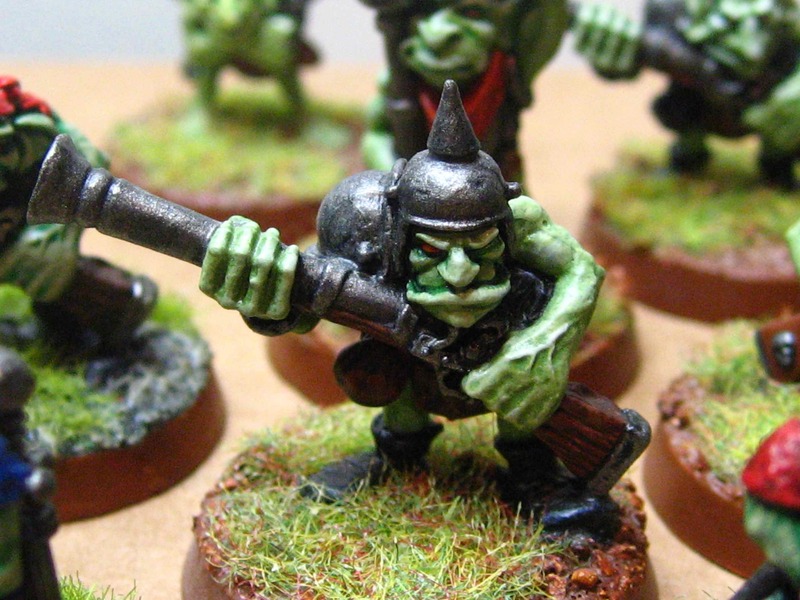 These can well be used as part of a clan list or as Gretchin Bandits. 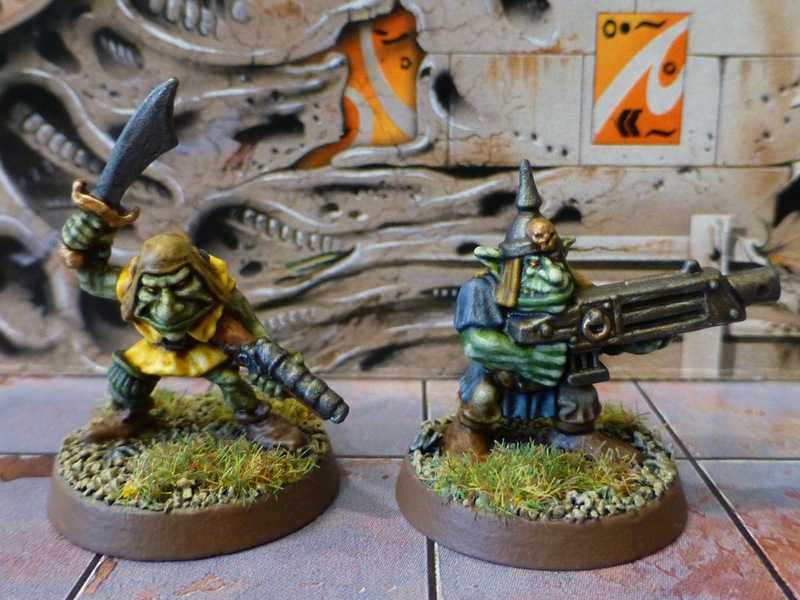 Since I also recently bought Rogue Stars, I could pick a pirate gang from them. 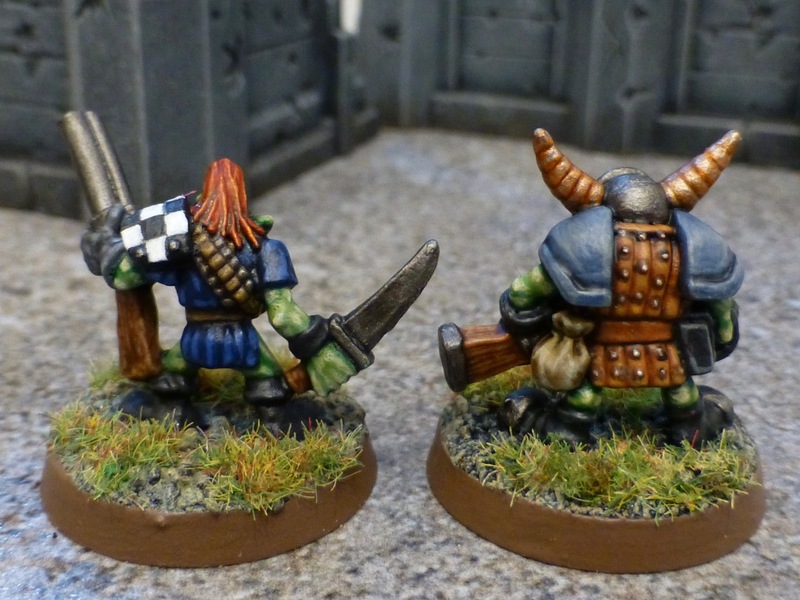 The final additions are one proper old lead figure and one 2nd edition plastic Gretchin. 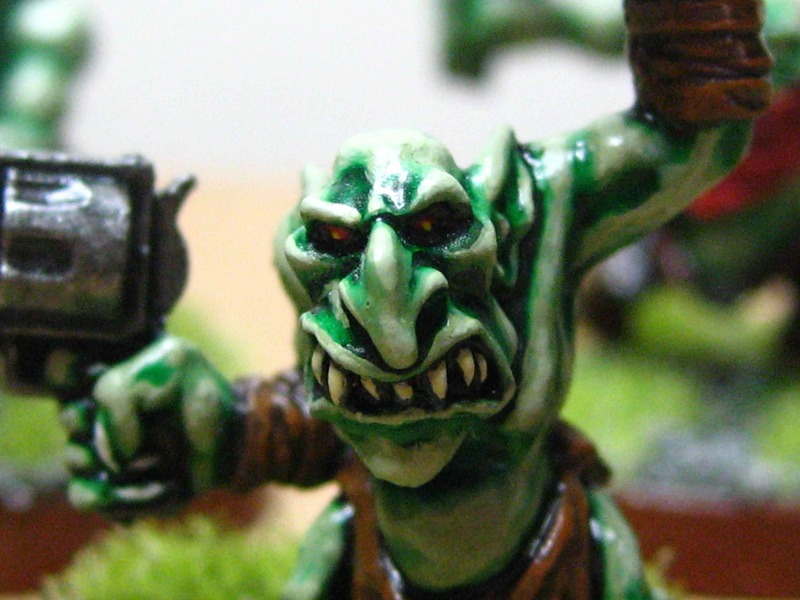 I had the box set and used these guys regularly since I didn’t own any metal sculpts in the day, but this is probably the first one I actually completely painted. 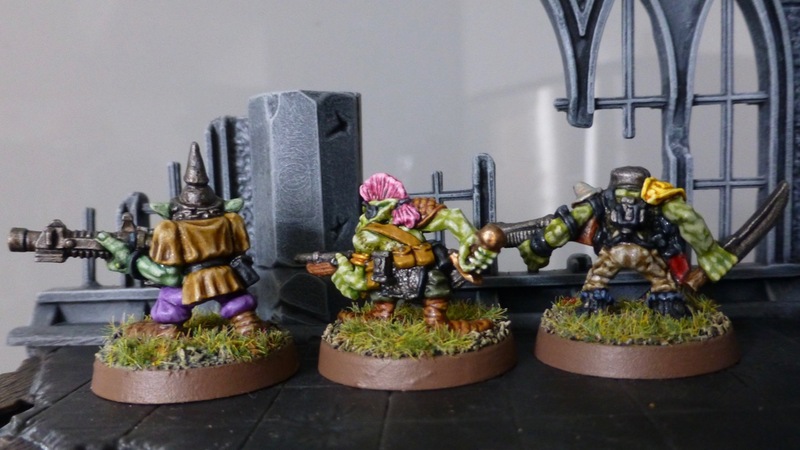 Next I’ll be painting a squad of da boyz and a retinue for the Warboss. 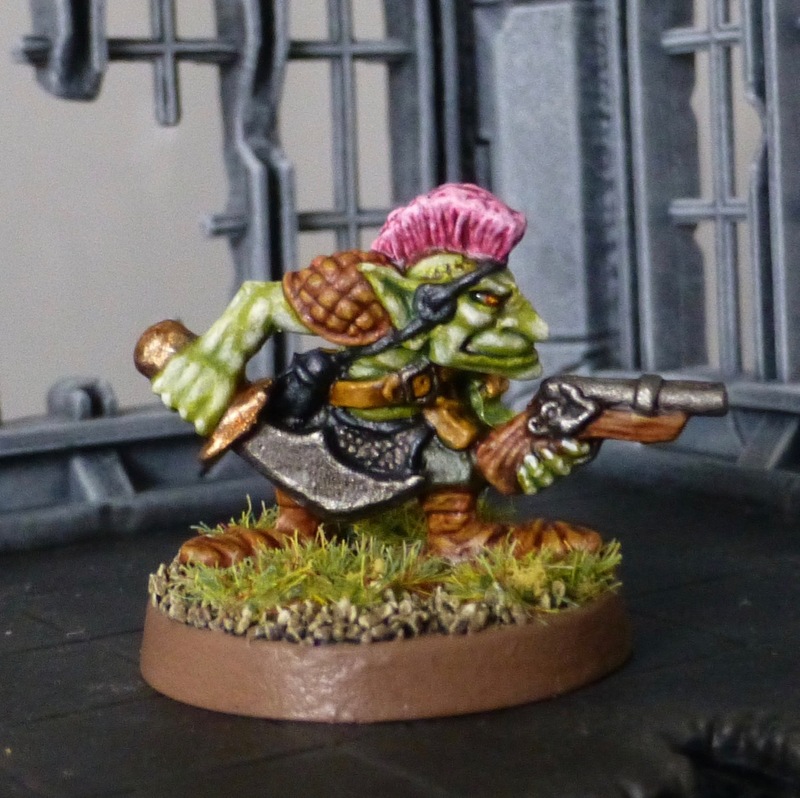 I’ve been expanding the Gretchin mob for my Blood Axes with two ‘proper’ Rogue Trader miniatures and one 2nd edition sculpt. 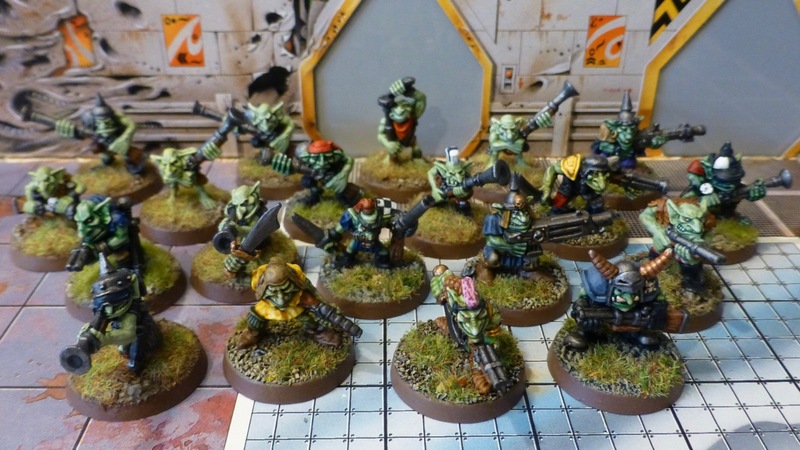 That brings me up to 18, looking to pick up two more for an even 100 points under the ‘Ere We Go army list. 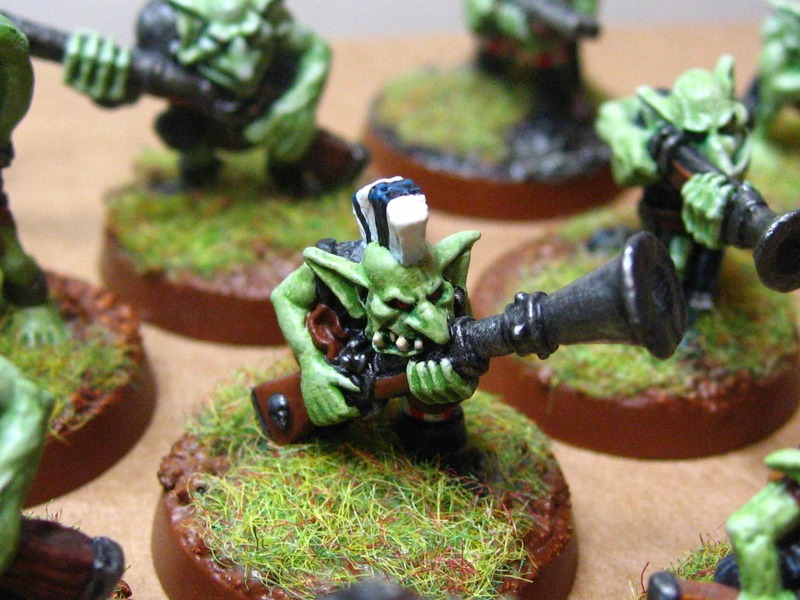 Not that it matters gaming wise, I am using army lists more as collecting/painting goals these days. The two older figures are amongst my favourites so far. 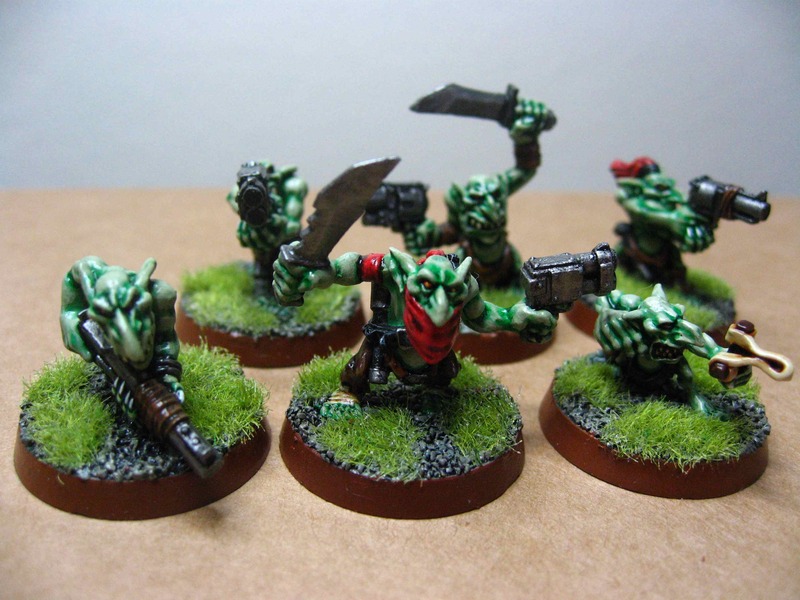 They are perfect as freebooterz, so I’ll always have the option of fielding the mob in different contexts. From the back the differences in sculpting are most noticeable. 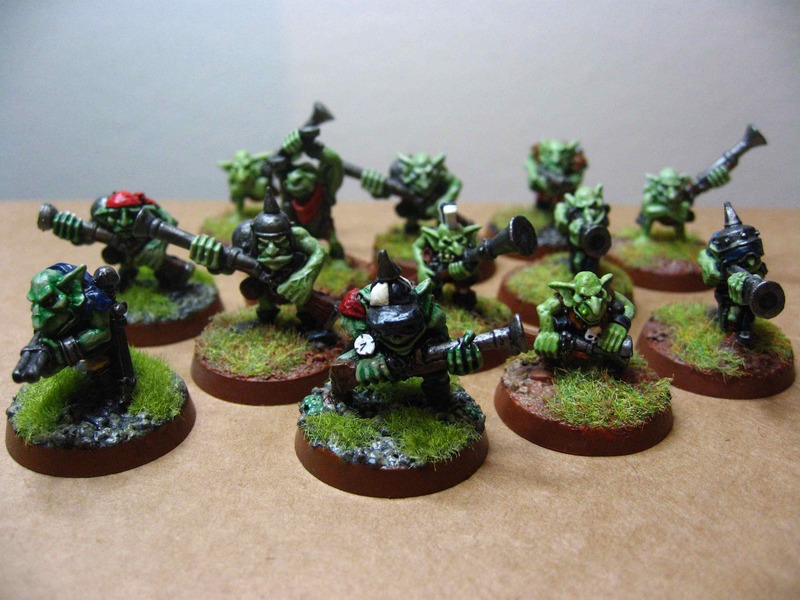 To fit in with the plastic mono-pause Gretchin from the 2nd edition box set, the design of the whole range was streamlined and simplified. 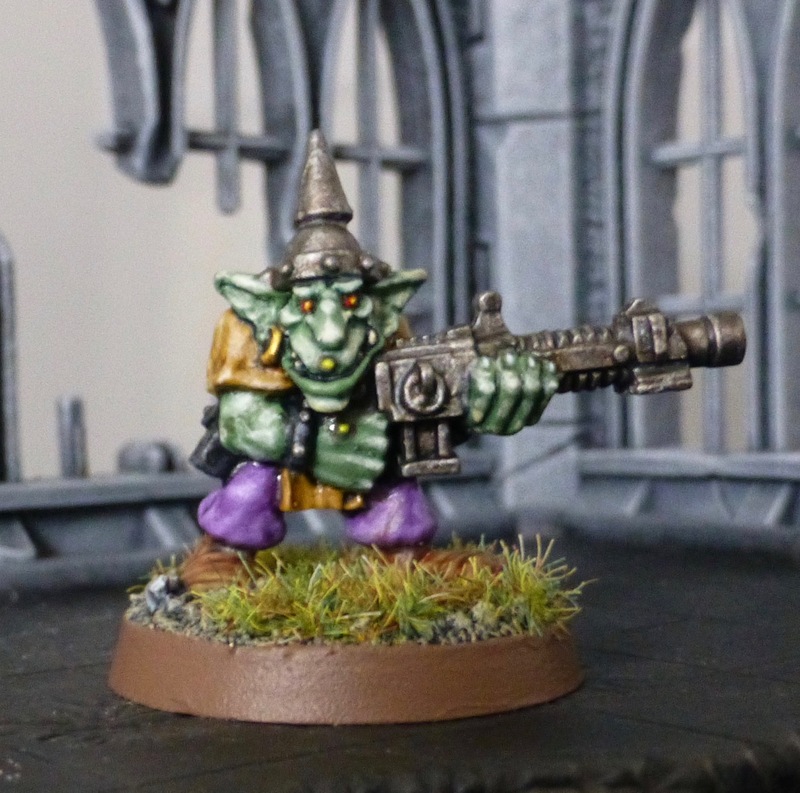 Only with the arrival of Gorkamorka Gretchin design experienced a bit of a renaissance and some individual character was reintroduced. 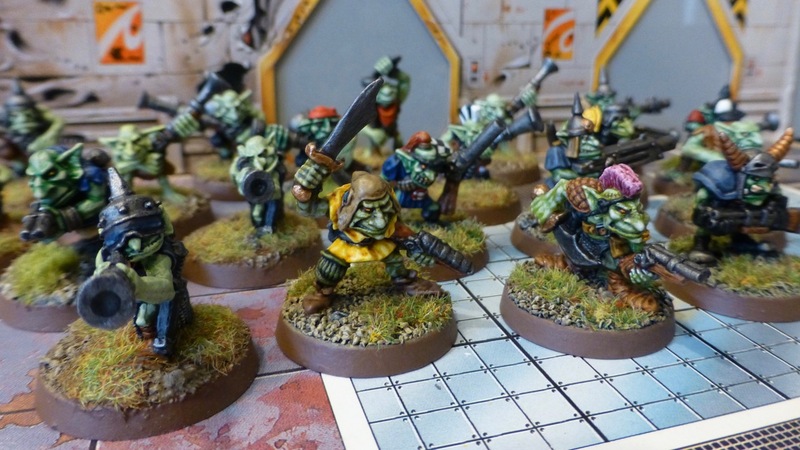 The Orcs were a major force in Warhammer 40k when I started out, with several large volumes of background and army lists complementing the Rogue Trader rule set. I had a force consisting of Goffs, Bad Moons and Freebooterz cobbled together, which got lost on one too many warp jumps. 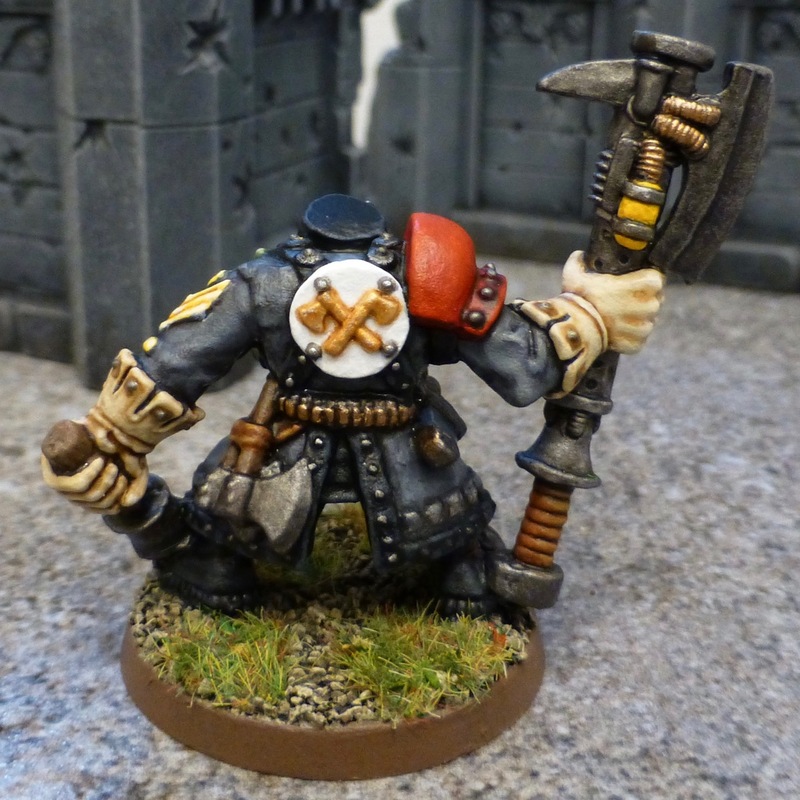 For the last couple of years I gradually built up a new collection mostly through impulse buys, and after having re-read ‘Ere We Go, Waaargh the Orks and Freebooterz, I recently decided on raising a small force of Blood Axes. 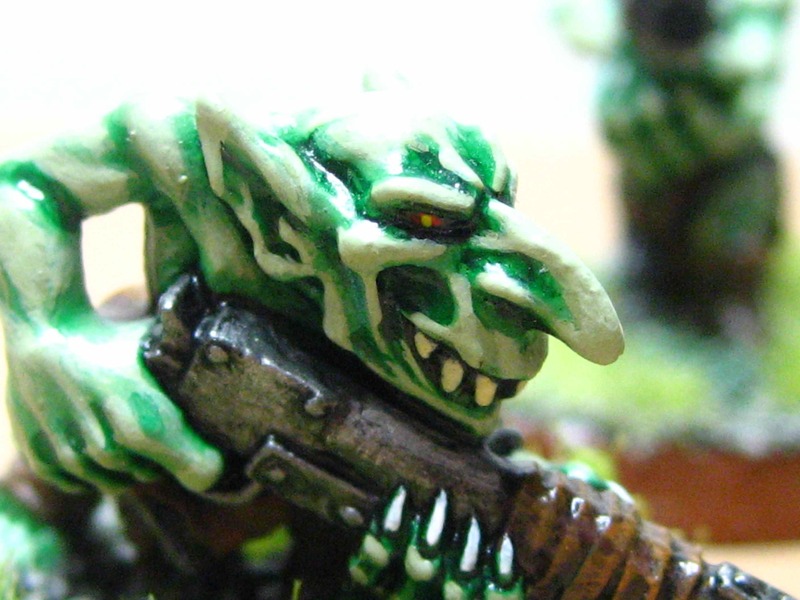 I’ll loosely base the force on the army list in ‘Ere We Go, with some licence regarding weapon choices and unit sizes. 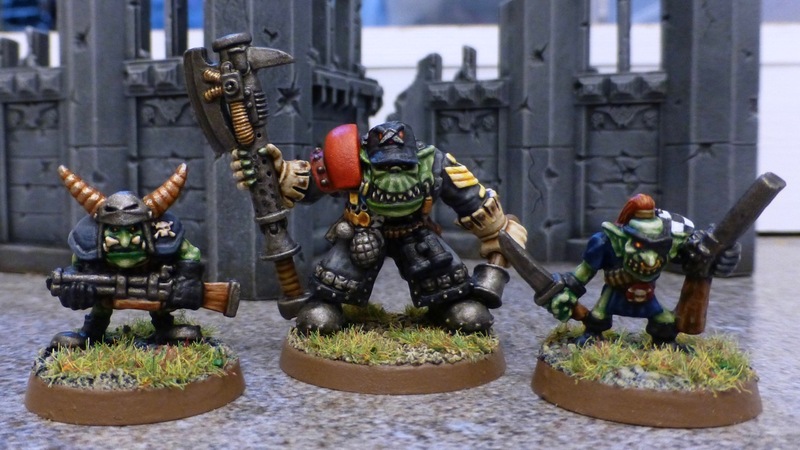 To start me off, I painted the Blood Axes Warboss, and finished some more Gretchin which had languished in painting limbo for over a decade. 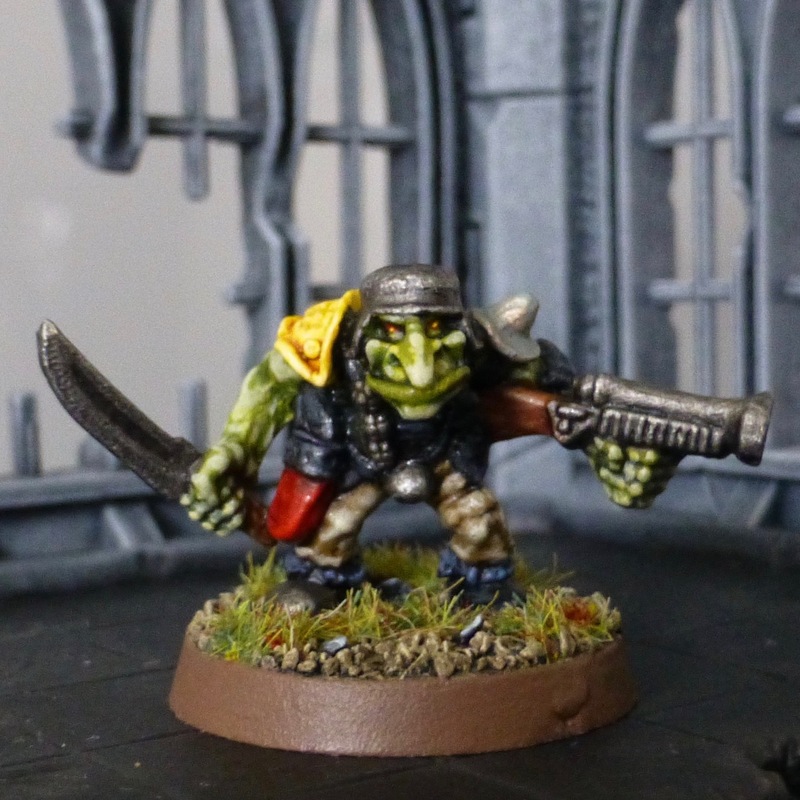 There are a few more of them to come, and I might form them up into a mob of Gretchin Bandits together with a unit of 13 I already have.